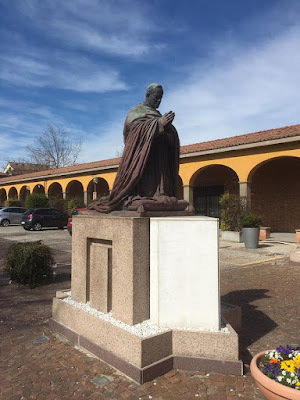 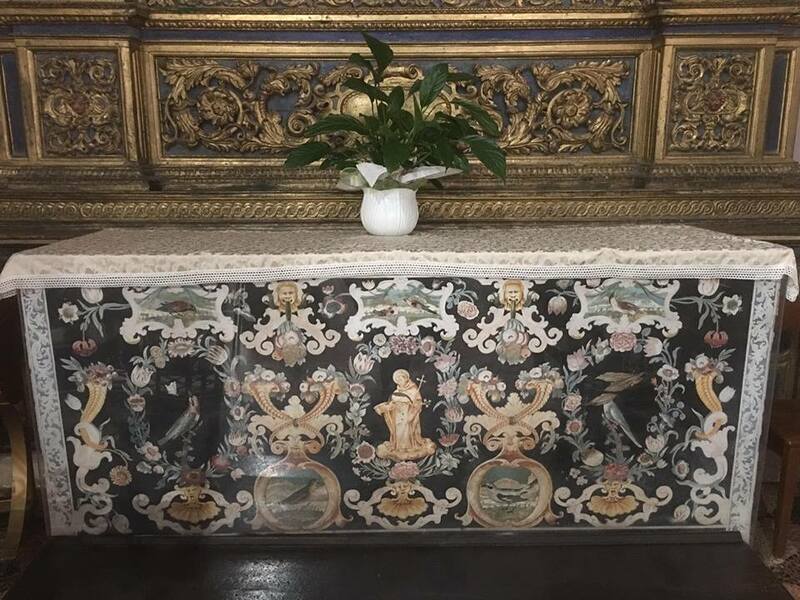 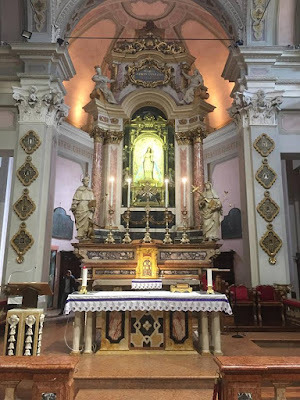 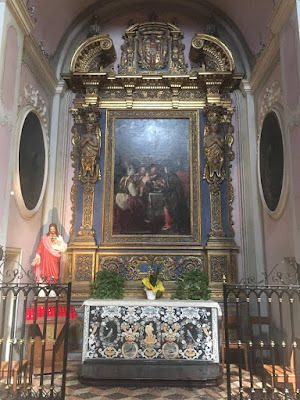 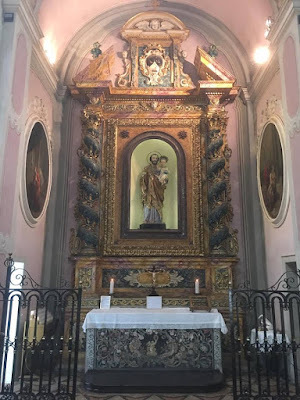 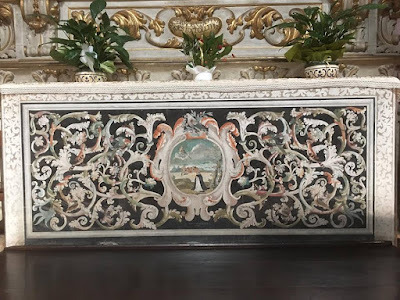 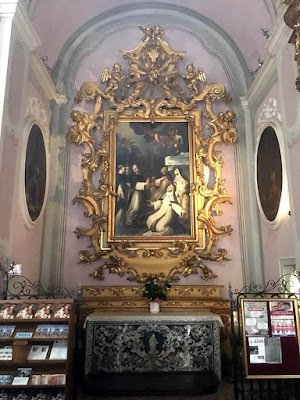 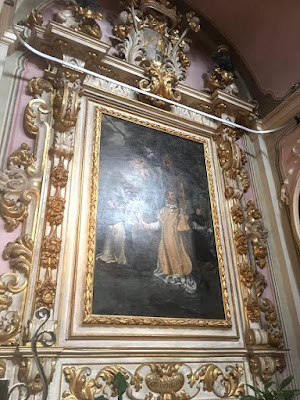 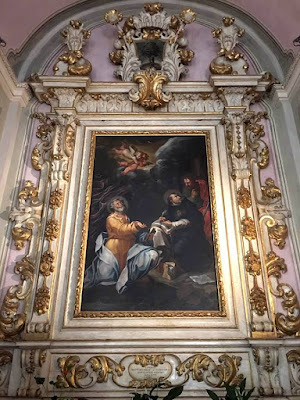 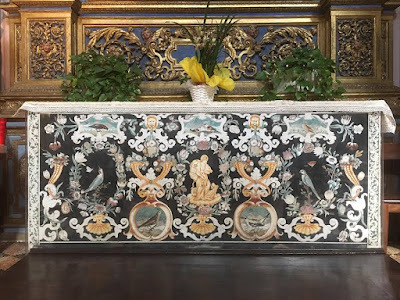 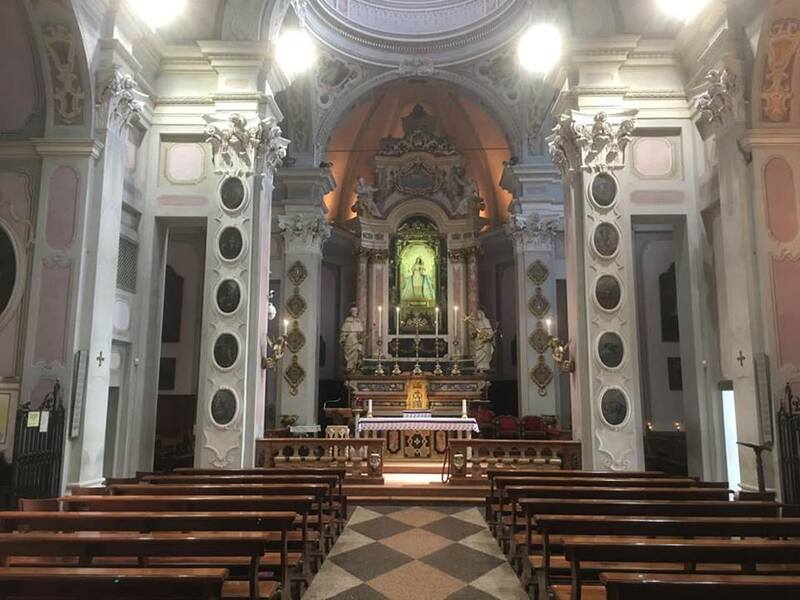 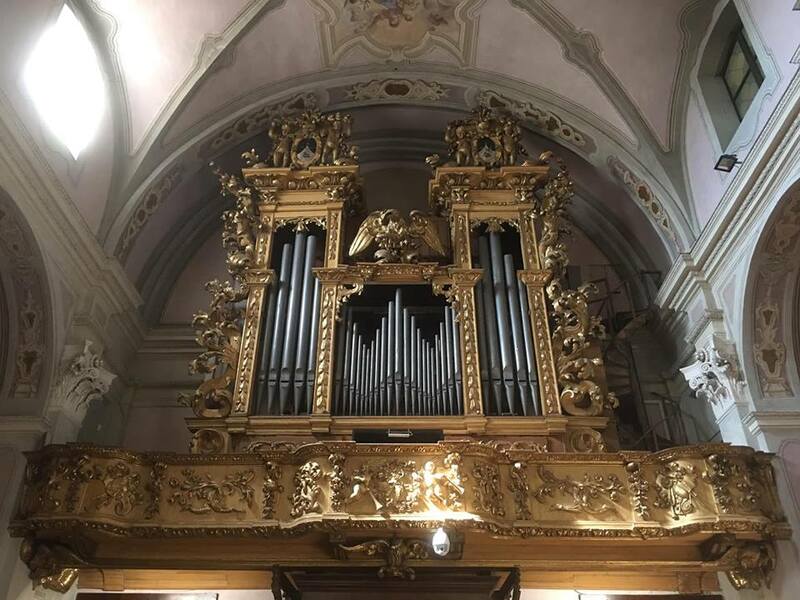 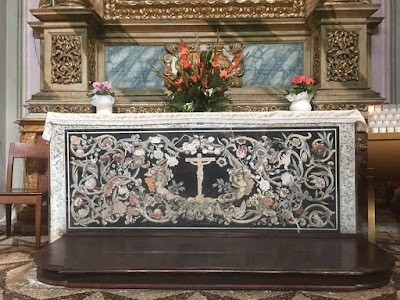 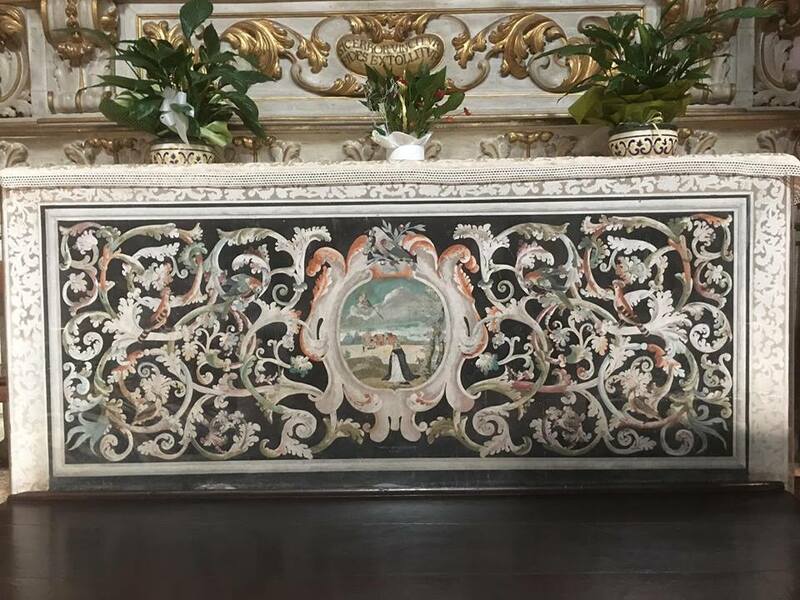 Our Ambrosian writer Nicola de’ Grandi recently visited one of the major pilgrimage shrines of the Emilia-Romagna region, Our Lady of the Rosary at Fontanellato, about 11 miles north-west of Parma. The church was founded at the beginning of the 16th century, and became particularly famous after a plague in the region in 1630, which hit the town itself very lightly. 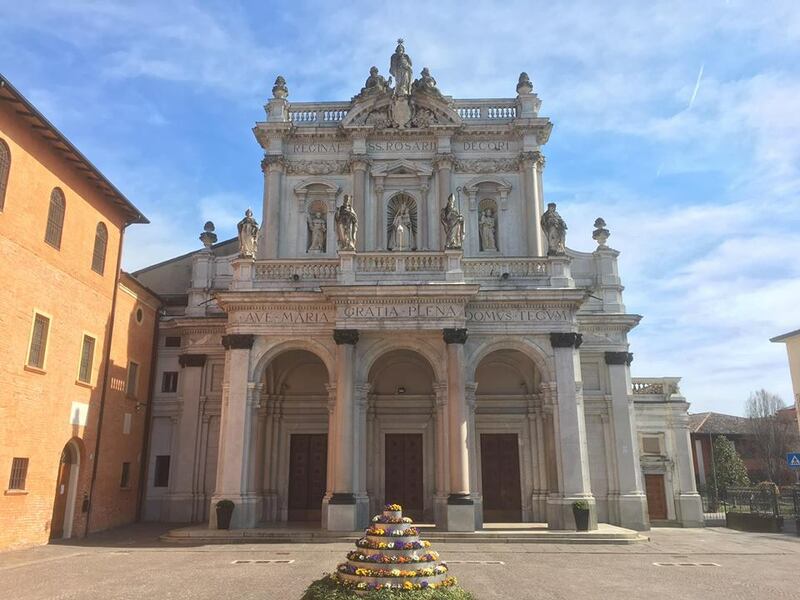 Surprising at it may seem, this monumental Baroque façade is very new, constructed between 1913 and 1920. 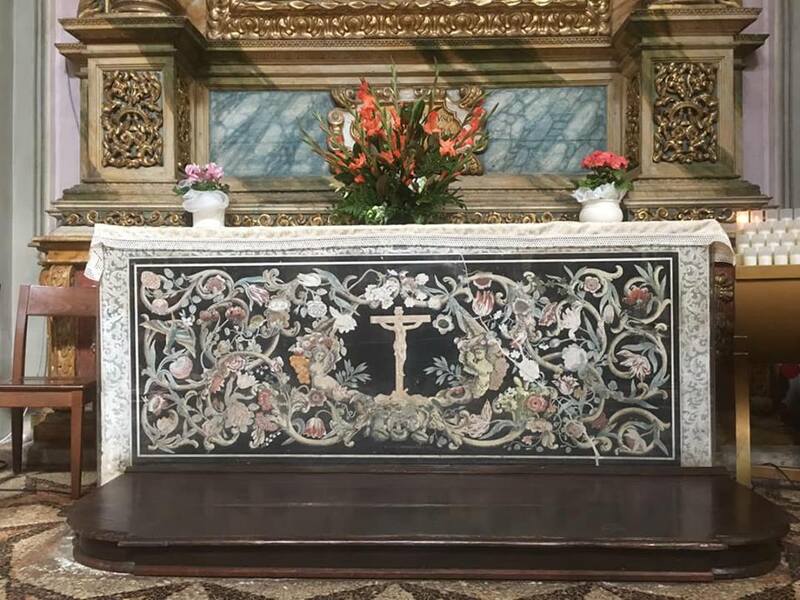 The Blessed Andrea Ferrari, archbishop of Milan from 1894 to 1921, was brought to the shrine as a child by his mother, and miraculously healed of a serious illness. 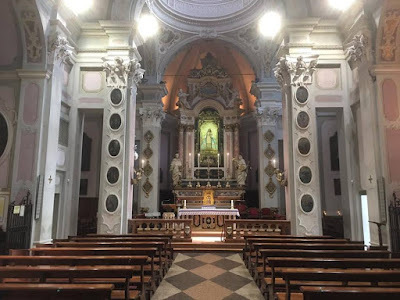 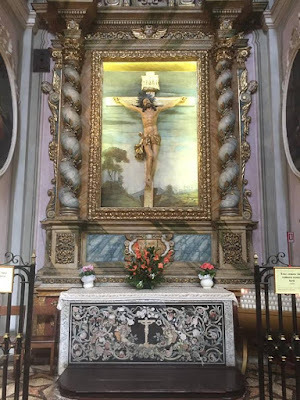 He maintained a special devotion to the Madonna of Fontanellato all his life, coming each year as a pilgrim; he celebrated his first Mass at the church’s main altar in 1873, and 25 years later, as archbishop, his silver jubilee of priestly ordination. This statue was erected to commemorate him in 1925. 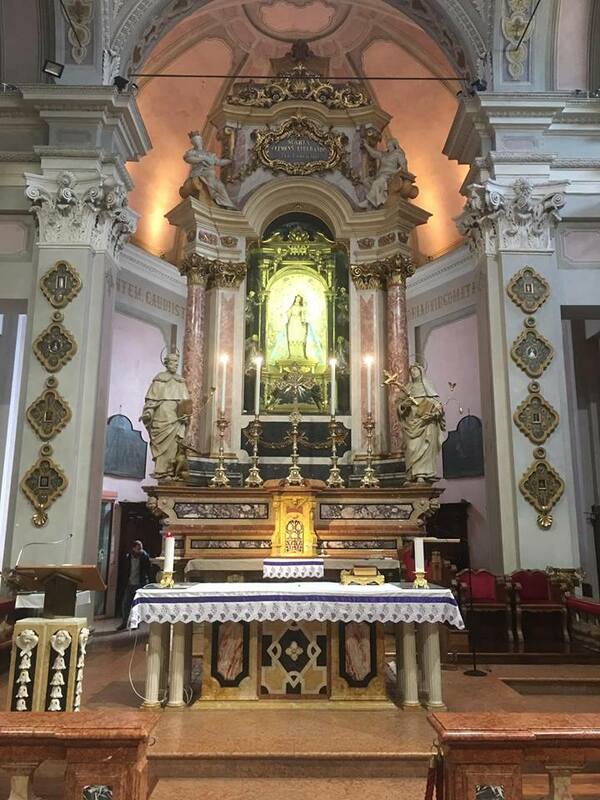 Altar of St Joseph; note the spiral columns imitated from those of the high altar of St Peter’s Basilica in Rome. 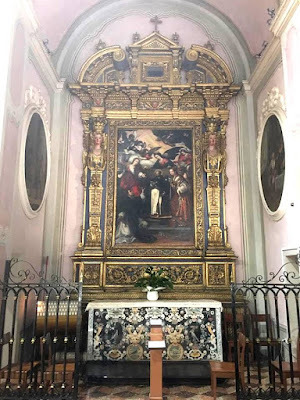 The church has been run by the Dominicans since its foundation, with some rude interruptions; the Order was expelled for six years under the Bourbon Duchy of Parma, for eleven in the Napoleonic era, and eleven more in the early years of the Kingdom of Italy. Several of the side altars are dedicated to Dominican Saints.